You may not otherwise use, modify, copy, print, display, reproduce, distribute or publish any information from this site without the express permission of Tourism Prince George. At any time Tourism Prince George may, without notice, make changes to this site or to the services or products described in this site. Information found on this website may contain technical inaccuracies or typographical errors. Information may be changed or updated without notice. 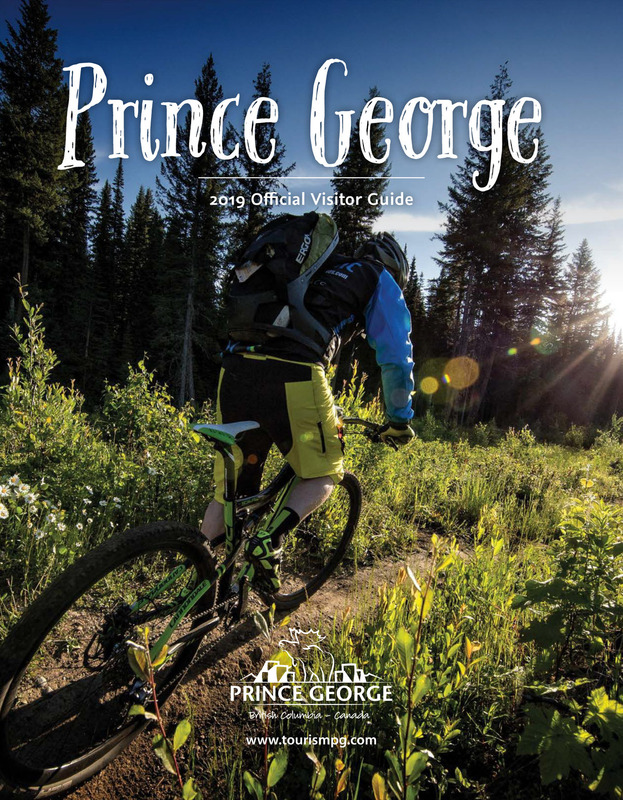 Tourism Prince George may also make improvements and/or changes in the products and/or the programs described in this information at any time without notice. Tourism Prince George makes no representations whatsoever about any other website, which you may access through this one. When you access a non-Tourism Prince George website, please understand that it is independent from Tourism Prince George, and that Tourism Prince George has no control over the content on that website. In addition, a link to a non-Tourism Prince George website does not mean that Tourism Prince George endorses or accepts any responsibility for the content, or the use, of such a website. It is up to you to take precautions to ensure that whatever you select for your use is free of such items as viruses, worms, trojan horses and other matters of a destructive nature. Tourism Prince George content and images identified in this site are trademarks or service marks of Tourism Prince George. All other products or services referenced in this site are the trademarks or service marks of their respective owners. All Tourism Prince George website design, text, graphics, and the selection and arrangement thereof are the copyrighted works of Tourism Prince George. ©2011. All rights reserved.